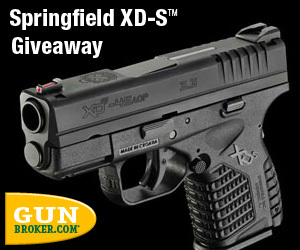 RomeoTangoBravo: GunBroker's Springfield XDS Giveaway :: Ends August 31st! With a slim, single stack frame at only 1-in. wide, the XD-S delivers all the performance of a .45 with superior control and comfort – without sacrificing important safety features. The design offers a single-position Picatinny rail, making this one of the only pistols of its size that can be accessorized with lights and lasers. 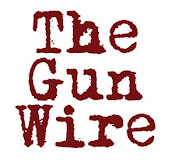 An increasingly significant force in the marketing of firearms and related hunting and shooting sports equipment, GunBroker.com was named SHOT Business Company of the Year at the 2011 SHOT Show and is the Official Internet Auction Site of the National Shooting Sports Foundation, USA Shooting and the USA Shooting Team Foundation. 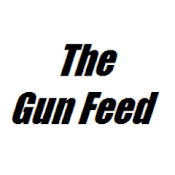 The first name in American firearms, Springfield Armory® began when George Washington ordered its creation in 1777 to store revolutionary ammunition and gun carriages. In 1794 the armory began the manufacture of muskets for a young country. For the next 150 years, Springfield Armory® functioned as a supplier for every major American conflict as well as a “think tank” for new firearm concepts. After a brief closure from 1968 to 1974, a passionate family by the name of Reese rescued not only the name “Springfield Armory®,” but the philosophy that drove it for centuries. With reverence for the legacy of the Armory, the Reese family resurrected the most historically significant designs produced by The Armory- M1 Garand, 1911-A1, M1A™ –and fueled by the same obsession for improved manufacturing techniques and cutting edge design that inspired the likes of John C. Garand, and John Browning. Today Springfield Armory continues to develop products that are loyal to its heritage while ensuring The Armory’s future with such innovations as the category leading Armory® XD®, XD(M) ® and the new XD-S™ polymer pistols.